Eeek! Watch Out for These 5 Conversion Killers! It’s almost Halloween, so we need to talk about something spooky! Conversion killers! 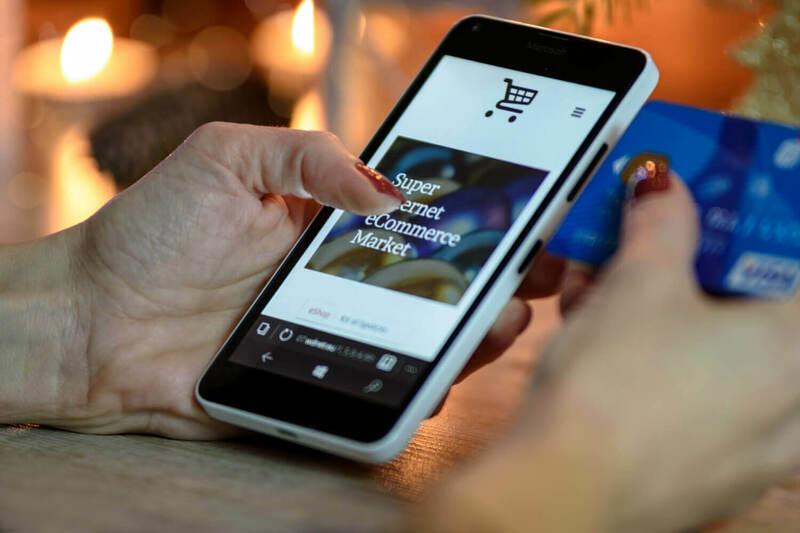 Generally, the failure of an e-commerce site is the cumulative impact of tons of factors ranging from a lack of marketing leadership to design issues. But I am not interested here in talking about how the slow speed of the website or poor product description damages conversion opportunities. It’s not because they are not important–rather, it’s because enough ink has been spilled on them. We will dig a little deeper to broaden our understanding of e-commerce conversion killers. If you closely observe the MO of most of the successful e-commerce websites, you will understand that cross-sell and up-sell opportunities are at the core of its revenue generation funnel. It’s much easier to sell another product to an existing customer than getting a brand new conversion from a brand new prospect. And it’s not that difficult to achieve. All you have to provide is the automatic or manual matching of products to existing customers. Amazon has always been good at doing it. As you can see, based on the past purchase behavior of its customers, Amazon is offering additional purchases- a simpler way to cross sell. Though many e-commerce players who are not as big as Amazon have started to implement it, but we have come across many others who have simply ignored it. 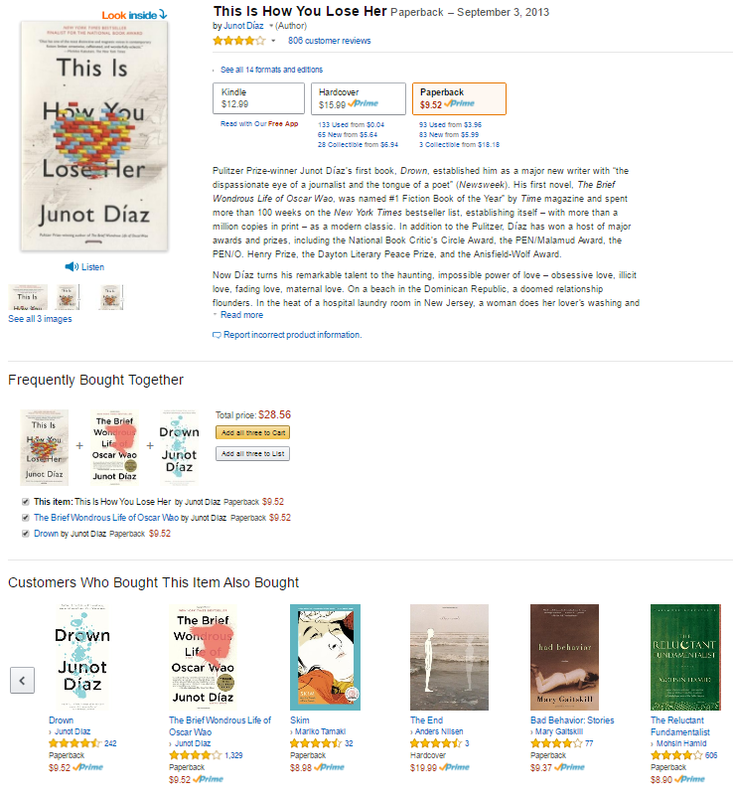 Another, similar way of cross-selling is to not base suggestions on other customers’ buying history, but rather on product categories or seasonal picks. For example, if a shopper is on a PDP for mixing bowls, it’d make sense to suggest best-sellers from your spatula and motorized mixer categories. Alternatively, if a user is checking out a scarf, try the cross-sell with other winter accessories or products in a similar color/pattern. 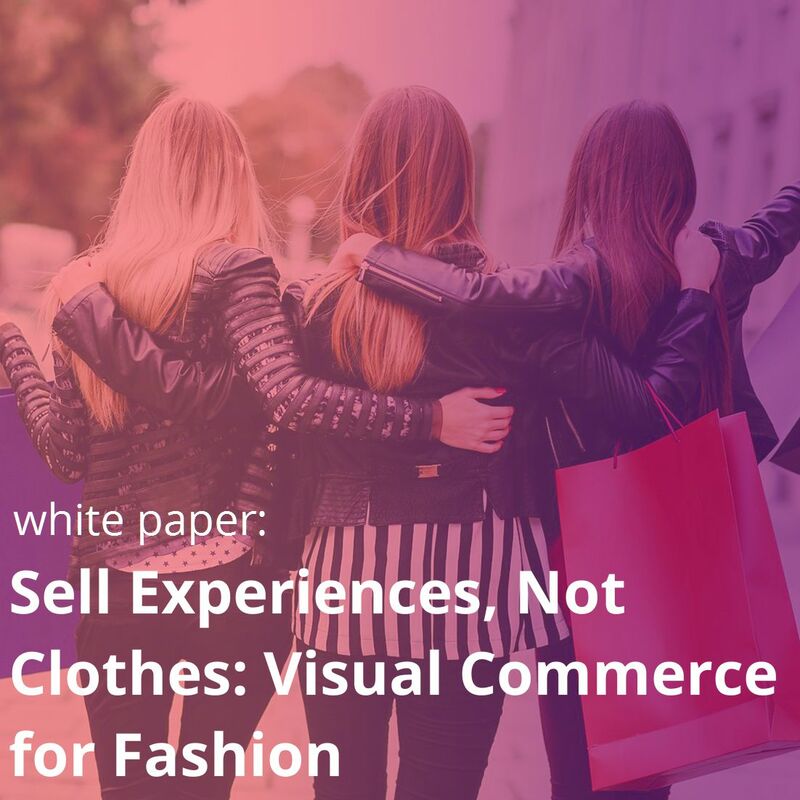 Clothing, makeup, and accessory sites that let customers shop the whole look on a certain model are also achieving better up-sells. 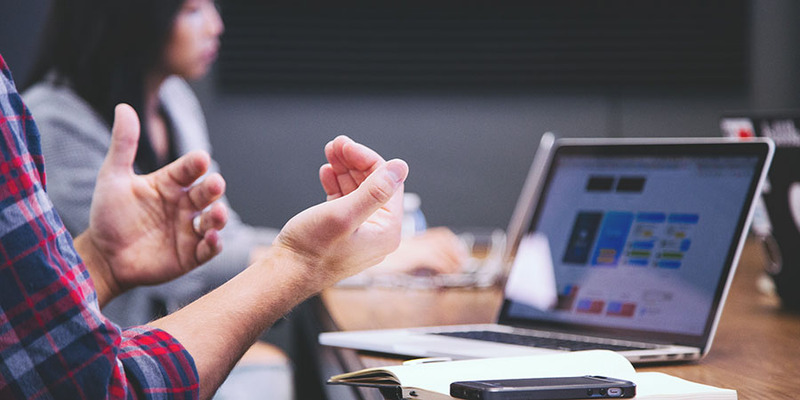 If your website fails to create a sense of trust among your customers, they will not buy from you regardless of the quality of your products or the deals that you are offering. It’s quite understandable too. While buying from your website, they will have to put their personal information including debit or credit card numbers. They are very well aware that this information may be misused. And thus they need something that ensures safety as well as trust. The simplest way to overcome this problem is to put trust badges…something that Outdora has done. 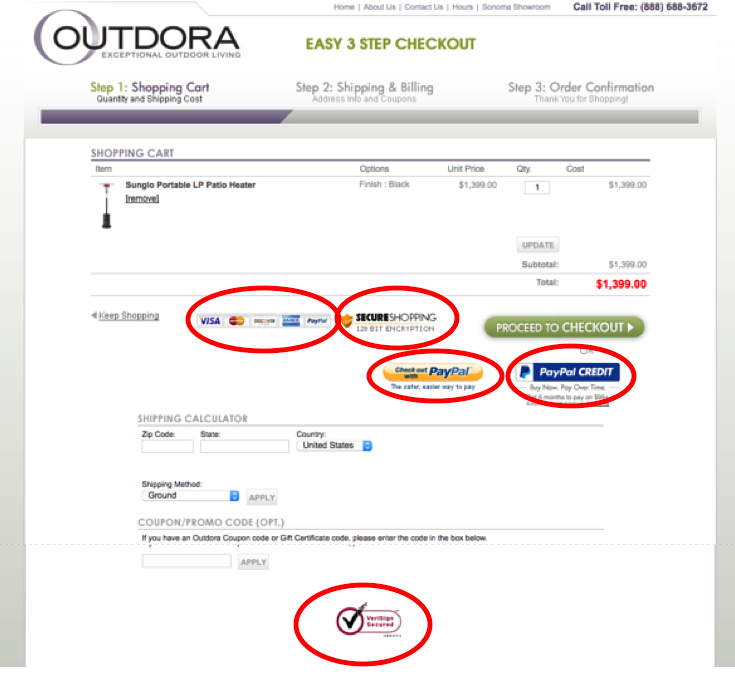 As you can see, Outdora inserted five trust blocks in their checkout page. What is noticeable here is its selection of locations of these trust blocks. Four of them are around the “Proceed to checkout” button. Indeed, it’s a very strategic decision. While clicking on the proceed to checkout button, the customer is subconsciously assured about the safety due to those four trust badges. The last one is at the bottom of the checkout page. It is being placed there for the prospect who is still hesitant and is looking to navigate out of your shopping cart. It’s like the last attempt to convey to him that your site is safe. Boohoo, meanwhile, uses badges that are less about security and more about their overall quality. They conveys their trustworthiness by displaying various awards that they’ve won on the right side of their footer. Another way and perhaps the most powerful way is to put ratings and reviews on your website. It works better than any other trust badge. 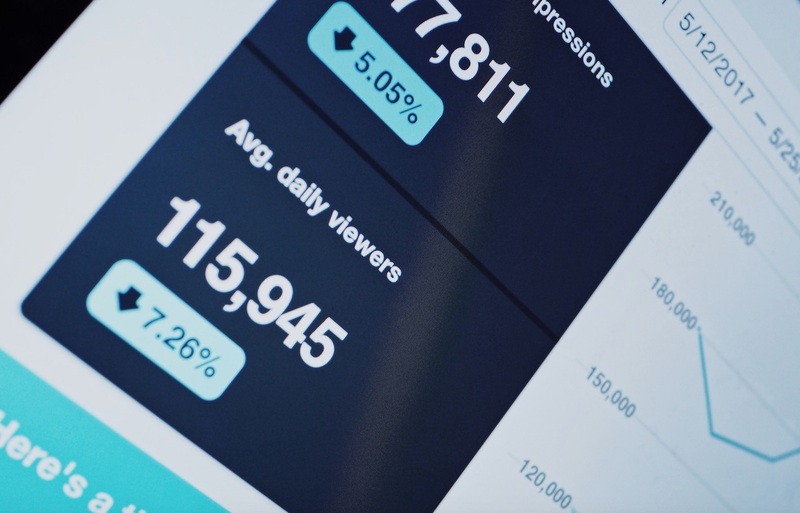 When people see that so many people have purchased from you and are speaking positively about your product and delivery service, it automatically becomes a social proof of the authenticity of your website. Consumers trust user generated content like product reviews twelve times more than content from brands. That’s why UGC can deliver site revenue increases of 18% or more! 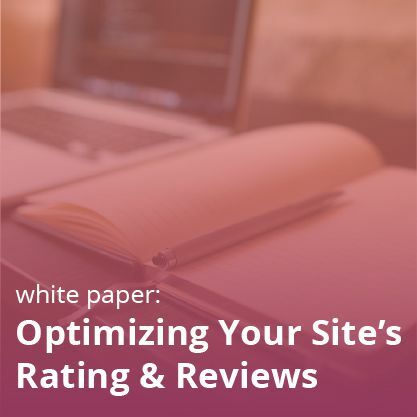 For tips on optimizing your site’s ratings and reviews, read out best practices ebook here! Many people believe that when there are more options there are more sales, because a greater array of people can find what they want. Well, a small experiment by Sheena Iyengar has destroyed that conventional wisdom. In the study, subjects were placed in an area with two sampling booths. One had 6 jars of jam and the other had 24 jars of jam. Naturally, more people stopped at the table where the 24 jars were placed. But of the samplers with 24 choices, only 3% made a purchase. Among those who stopped at the 6-jar table, 30% made a purchase. When the customer is exposed to a plethora of choices, the decision making becomes tougher. His mind gets caught up in deciding which one is the “best” among so many options and due to the fear of wrong selection, he abandons the whole buying process. But when the options are narrowed down, the work, which brain has to do, also reduces. He may become more positive about his choice. But it doesn’t mean that you should do away with your large collection of products. It boils down to how you present them. The best way is to categorize your products. Most of the people know what they want to buy when they come to your website. Thus, it makes sense to make their search process as simple as possible. When customers see categories, they can click on the particular category of their choice. American Eagle Outfitters has done exactly that. 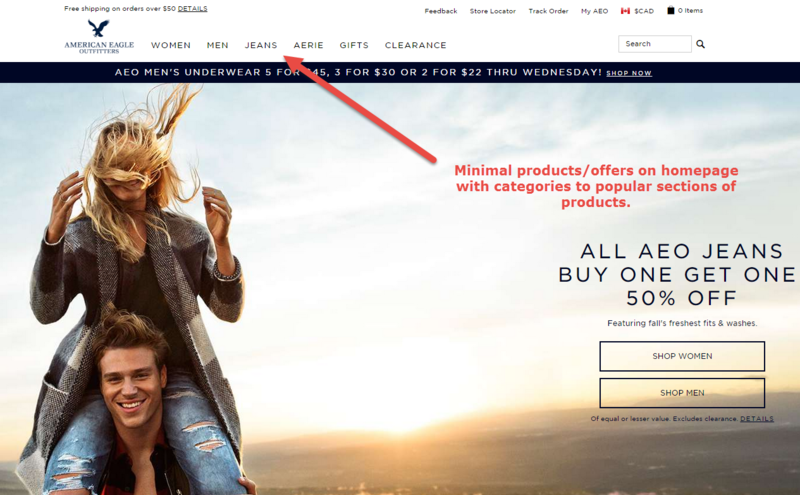 Notice that American Eagle Outfitters haven’t bombarded the site visitor with tons of products. Instead, the page has a clean image with a way to select into men or women, as well as clean categorization along the top. Brands see a 25% increase in conversions when user-generated photos are used instead of professionally made product shots by brands. Why? The big reason is, which I have mentioned in many of my previous blogs, people are swiftly moving away from traditional ads. Sooner or later it was about to happen, as they look too superficial without oozing any authenticity. Consumers have doubts about product photos all the time: “That designer dress looks awesome on that model, but what about on my body?” or “That dog leash sure is cute but I wonder if it’ll break after a week…” But when shoppers see photos of real people interacting with a brand’s products, those products immediately seem more realistic. 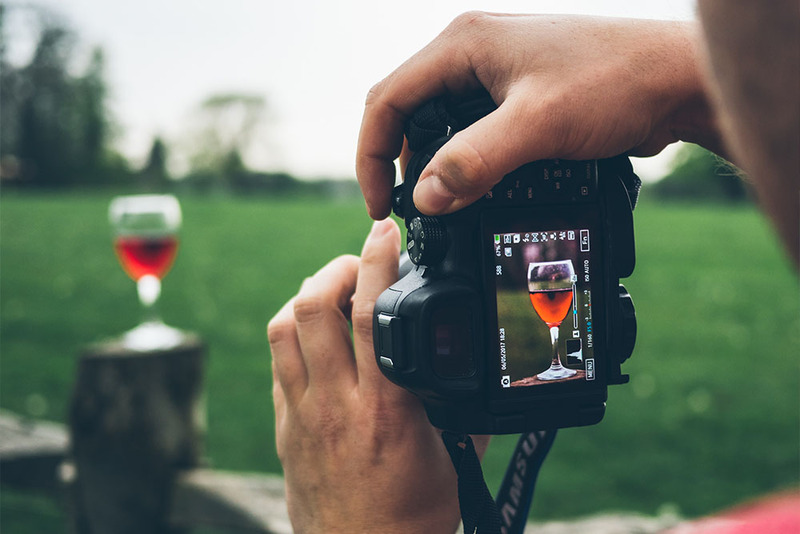 The practice of using these–and other–photos and videos is known as Visual Commerce. 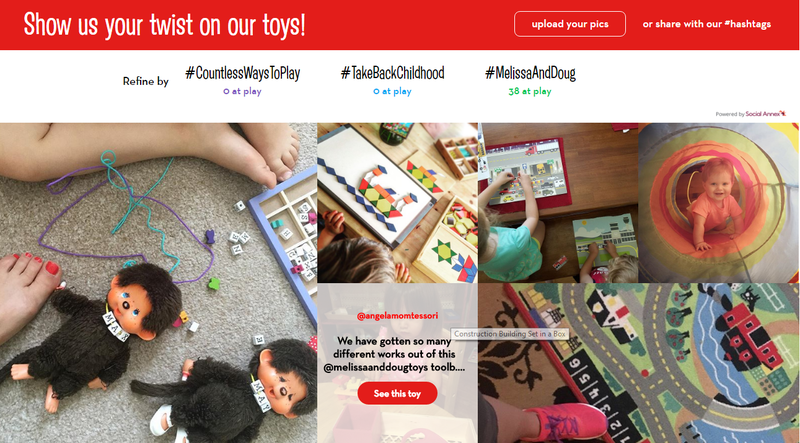 Melissa and Doug uses Visual Commerce to show off kids enjoying their toys, books, and games. It allows customers the option to submit original photos with their product reviews. 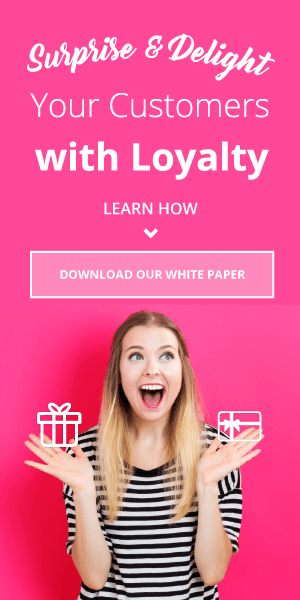 Along with leveraging the power of user generated photos, it also provides a platform for its shoppers to share opinions, feedback, and reviews with one another. 63% of consumers trust user-generated content more than other branded images and 32% of consumers say they’d be more likely to buy online if photos feature real people. We’ve found that every customer photo sourced for Visual Commerce adds between $5 and $12 of revenue. It’s just not enough to have beautiful images on your website. Their rhythmic movement, i.e., the hierarchy is also important. You have to understand that those images create a path for the visitor through which he explores your whole website. A clear visual hierarchy lets the visitor know what to click next. Plus, it’s also important to know where to put those images of products. Those which are placed high up in the hierarchy will get more clicks. The visual elements at the bottom will be less touched by the visitor. I think that Casper is a great example of this. They don’t just have a bold, large photo, but they’re also are infusing it with a clear cut call to action. I have seen innumerable sites where the call to action takes a back seat due to too many drop-down tabs or other content. But if the customer fails to see the call to action button, he cannot buy even if he wants to. Thus, it’s a wise move not to focus on too many things as it generally disturbs the visual path. The effectiveness of e-commerce sites lies in making your buyer’s whole shopping experience anxiety-free. That’s it. That anxiety can stem from not finding a clear cut call to action, not seeing any trust badge or lack of any “relatable” imagery. You have to work more on finding what conversion killers may raise your customers’ anxieties. And after finding them out, you naturally have to transform them. Don’t forget to kill these conversion killers with our Ratings and Reviews FAQ sheet and our indispensable guide to Visual Commerce rights management!